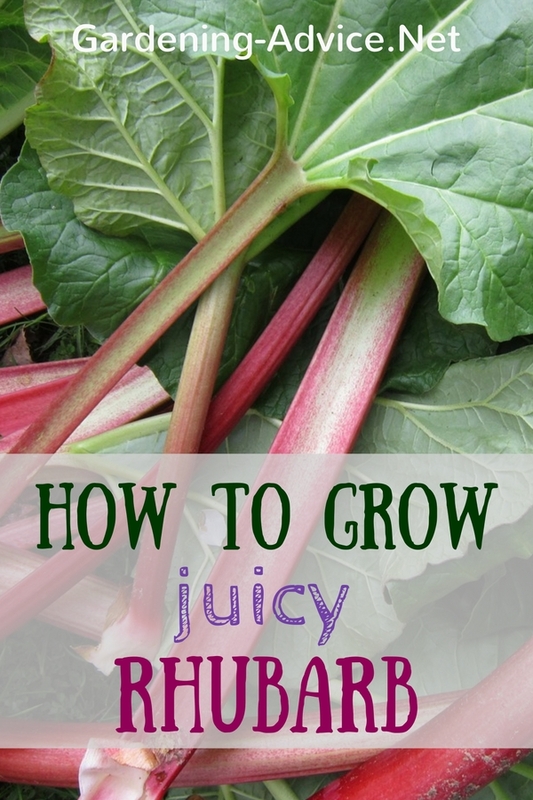 Growing Rhubarb Is Easier Than You Might Think! Growing Rhubarb is easy with these gardening tips. Learn about rhubarb plants, varieties and transplanting. You will be harvesting rhubarb in abundance! Although a vegetable plant but often cooked like a fruit, growing Rhubarb requires little effort and almost no maintenance. Once established the Rhubarb plant will produce edible stalks for years and is resistant to many insects and may become so dense that few weeds can grow. As it should be allowed to grow for at least three years before thinning, separating or moving, learning how to grow Rhubarb requires that you find a sunny spot where it can grow undisturbed. Growing in containers may be possible; however, Rhubarb's sensitivity to excess water may result in thin, spindly stalks. While planting rhubarb at the corner of a flowerbed, driveway entrance or fence gate will provide large, lush green foliage with edible stalks for years. Since Rhubarb grows back each year, many gardeners prefer raised beds instead of the back row of the garden. Planting Rhubarb in the back of a flower garden produces a wide, deep green and red, pink background for flowers. Asparagus and Rhubarb like each other and since neither plant requires re-sowing each spring, many people plant these two vegetables next to each other. Both like a loose soil and are not as sensitive to pH levels as other garden plants. Rhubarb can grow in soil with a pH of 5, but like most vegetable plants prefer a 6 to 7 pH level to thrive. 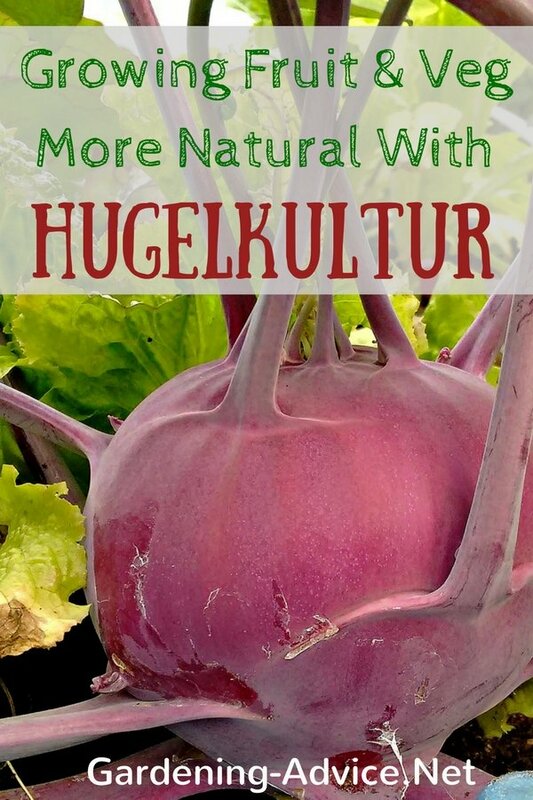 Apply organic fertilizer in the fall and some good compost or composted manure. 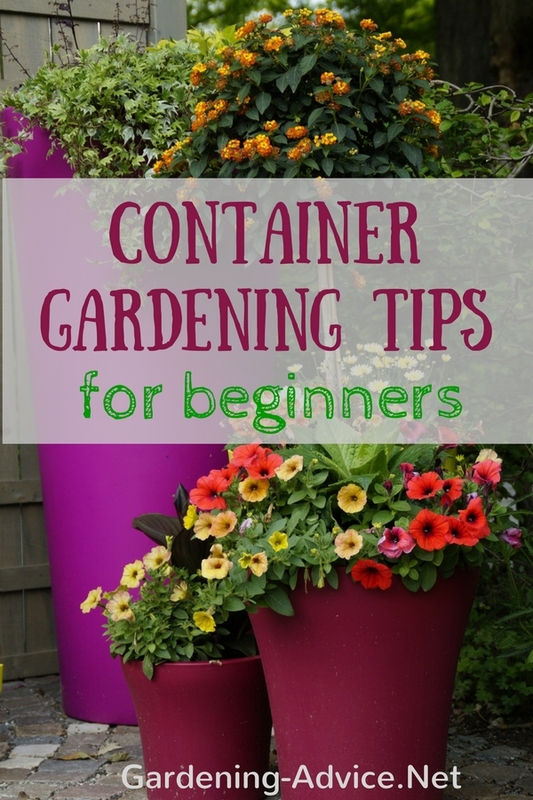 If you don't have any you can use your lawn clippings for mulching around the plants instead. Covering the Rhubarb bed with leaves, grass clippings or straw in the fall helps to protect them from the cold. Rhubarb is drought tolerant and easily recovers from late frosts and hard, cold winters as long as you remember the one important factor: "Don't drown the Rhubarb." Because, Rhubarb requires little water, it will drown easily if you plant it in an area that is moist year round. 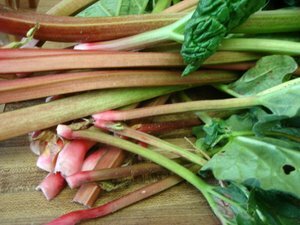 Growing Rhubarb in raised beds helps to prevent moisture saturation, which can cause stunted growth, thin, weak stalks and failure to produce rich, vibrant stalk colors. When growing Rhubarb, don't harvest in the first year as it requires time to establish. Do cut the flower stems as soon as they appear, as growing Rhubarb from seed is quite difficult. In the third and fourth years before in the spring, divide rhubarb plants and set new beds. During the third or fourth year transplanting Rhubarb can be done in the late fall or early spring. 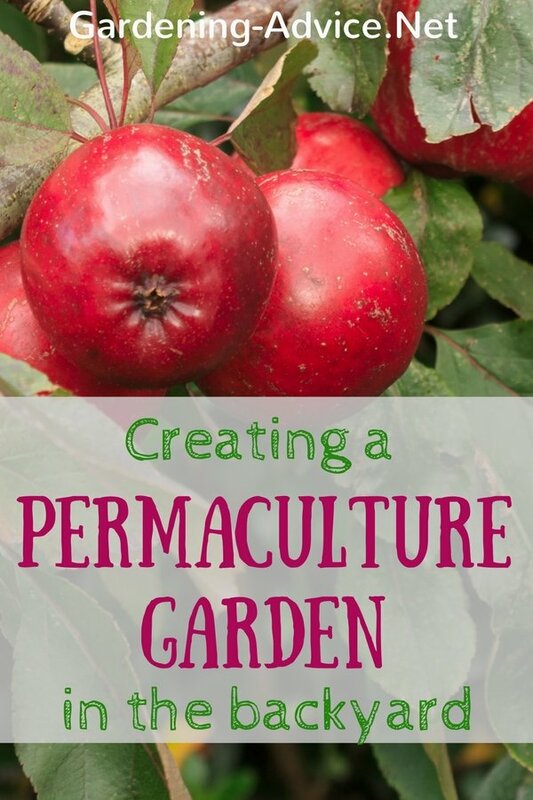 Many gardeners prefer to divide and transplant in the early spring about the time new growth appears so they can provide special attention to the newly transplanted crowns. Dividing and transplanting is stressful on the plants which is one reason some gardeners prefer fall division of plants. Dividing plants in the fall allows the Rhubarb to go dormant instead of attempting to grow stalks and leaves during transplant recovery. When transplanting Rhubarb from divided stools, separate the parent plant into crowns which are small leaved parts of the parent plant that include "eye" buds. Sometimes these require cutting to separate them from the parent plant. In order to divide properly it is necessary to dig up the entire plant and many gardeners recommend that you leave at least one third of the original plant when dividing and transplanting. If you need to relocate the Rhubarb bed, dividing is easy during the relocation process. Be careful - toxic leaves! While learning how to grow Rhubarb is easy, you should take precautions as this plant is very high in oxalic acid and some studies indicate it also contains glycosides which when combined with oxalic acid can be toxic. The symptoms of oxalic acid poisoning include difficulty breathing; ear, eye, nose and throat discomfort; as well as abdominal cramping, nausea, diarrhea and vomiting. 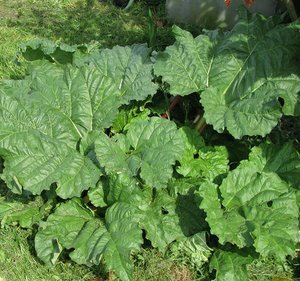 While the very large Rhubarb leaves are not edible, they will contribute green manure to compost heaps. Rhubarb toxins are contained in the leaves and by following a few simple rules you can avoid poisoning. Harvesting Rhubarb requires a sharp knife but keep in mind you should only take healthy, firm stalks. The leaf part of the stalk is removed and added to the compost bin or thrown away as the leaves contain toxins that can be dangerous to people and animals. Gently rock the stalk and give a light pull. Once trimmed from the leaf, chop the stalk into small pieces before cooking, baking in a pie or canning. Blanch the stalks prior to freezing, and when home canning, make sure you follow all directions for quality and safety. Many varieties grow easily in most northern areas, and each one has a particular color, size or use. 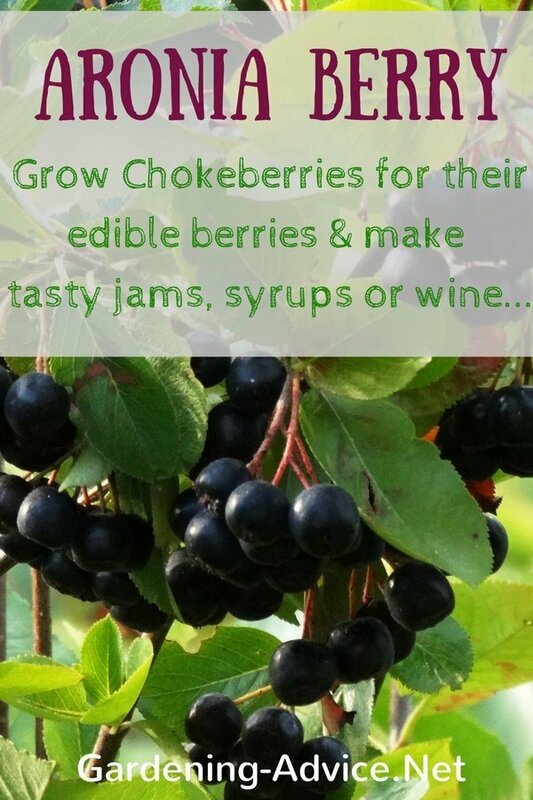 Cherry Red has thick, long, deed red stalks that home can easily, freeze well and produce nice jams. Canada Red, also known as Chipman Rhubarb, has shorter stalks used for pies, jams and freezes well. Crimson Red prefer a moister climate and is grown mainly in Oregon producing long, deed red stalks that are often home canned, frozen or used as pie filling. Strawberry has long pinkish red stalks that get quite long and are perfect for use in pies, jams, home canned and frozen. Valentine has red stalks that are long and thick, and often used in pies and jam, home canned and frozen. While Rhubarb doesn't do well in the south and extreme heat, with babying, growing it in shaded areas, and watering it well, you can enjoy this delicious "fruit" also under difficult growing conditions. Mulching with lots of organic matter or manure also helps to produce fresh, strong stalks in those conditions. Easily grown in raised beds, drought and frost tolerant, growing Rhubarb for its tasty stalks will provide a green background for flowerbeds as well as a low maintenance raised bed of self-reproducing vegetables.